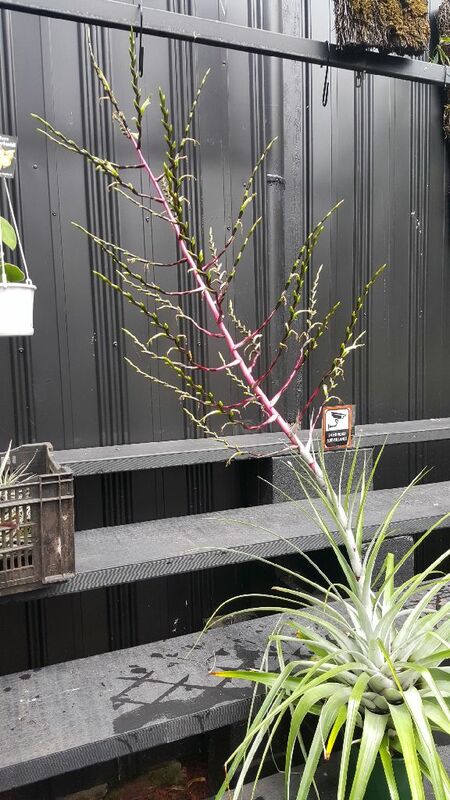 Stephen Haines ... "This is a plant that I have labelled T. cf limbata from Chris Larson. 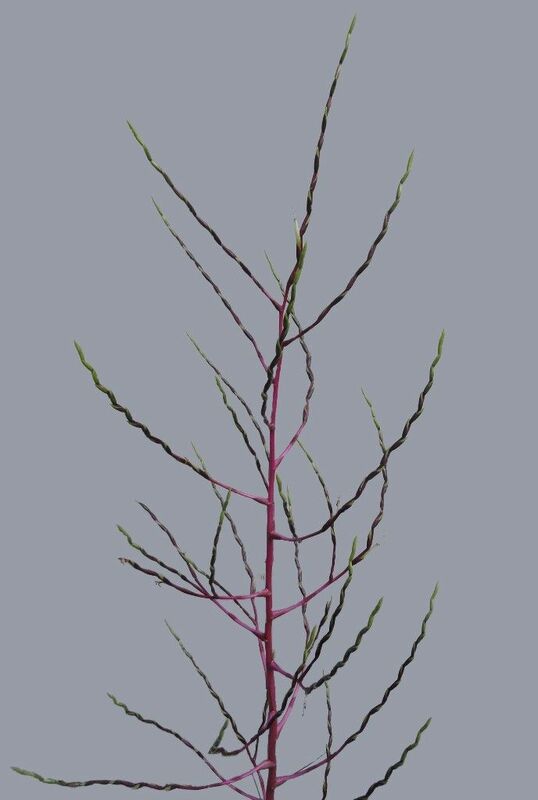 It is 1.7m from the base of the plant to the tip of the spike which in real life is a fantastic florescent pinkish colour extending out to a purplish colour on the branches. I hope the pics do the colours justice." Chris Larson ... "A confusing group. The grand champion of the show a few weeks ago – tills win again! Now for the name. What do others think of T. limbata ?" Dale Dixon ... "It’s stunning. 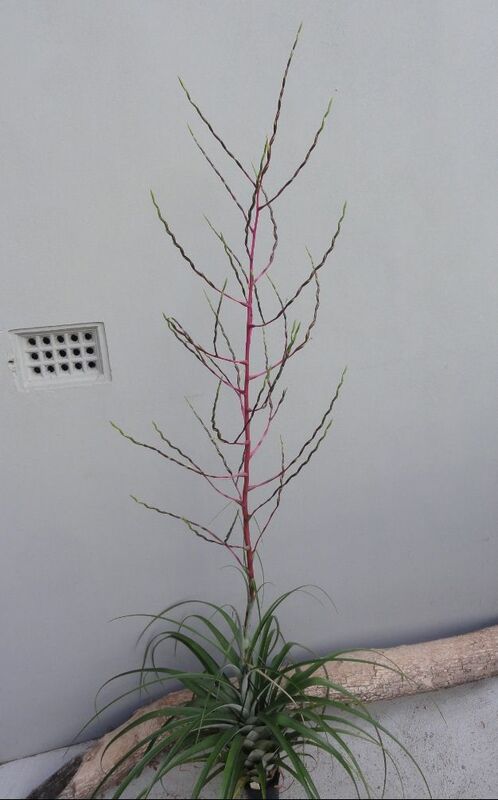 My T. limbata has an unbranched inflorescence, but it flowered as a much smaller plant when compared to yours. 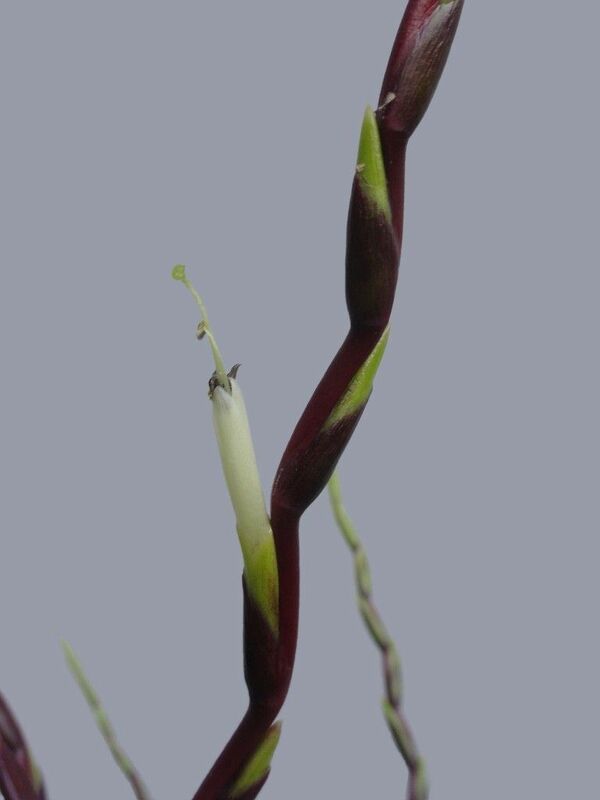 The description in the encyclopaedia says ‘Inflorescence paniculate, once divided’ which yours appears to be. I wonder if mine is a true limbata??" 10. 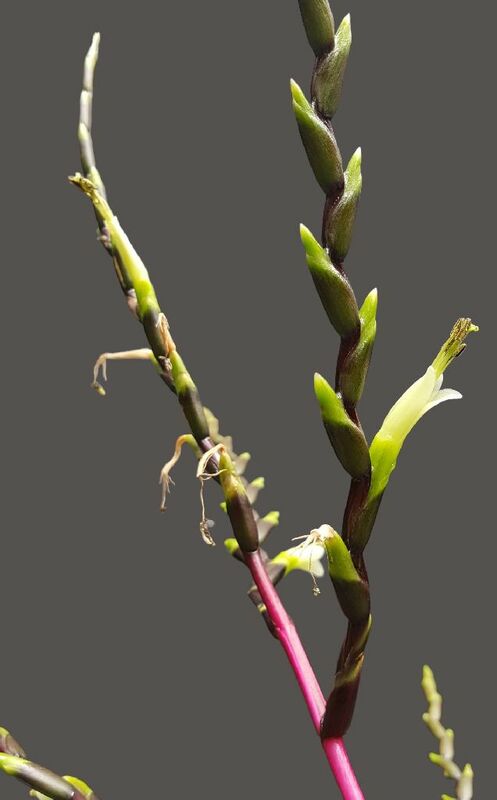 Rosette open; leaves flexible, recurved, tips not pungent; axis of the inflorescence and rachis carmine red violet-tinged; floral bracts violet-tinged; branches curved ascending, inserted in the rachis at an angle of about 90°; offsets never present inflorescence. San Luis Potosi, Hidalgo, Puebla, Veracruz, Tabasco, Oaxaca, Chiapas. => limbata"